Estimated @ 471hp 530 lbs/ft*. With just about everything you need to top off your Pontiac. These Top End Kits are performance-proven, complete with Heads, Intake, Cam, Timing Chain, Performance Fasteners, and more make this kit an easy choice for Butler Performance Power. This service open the intake runners to match the ported heads. Either customer supplied intake or purchased here. Complete top end kit with almost everything you need to upgrade your normal Pontiac to a Butler High Performace Pontiac. These combinations have been used in Butler Performance builds for many years and have powered some of the highest performing Pontiac engines in the world. We now offer these kits to take the guesswork out of piecing together a good combination that works well together. All these kits are actual build kits used in our shops. If its on here we use it in our own shop!! The CNC machined chamber results in a consistent and precise chamber for improved flow performance. Performer RPM CNC cylinder heads are available in two chamber sizes. The 87cc chamber version is ideal for 9.5:1 engines and will deliver excellent street performance on low octane fuel. 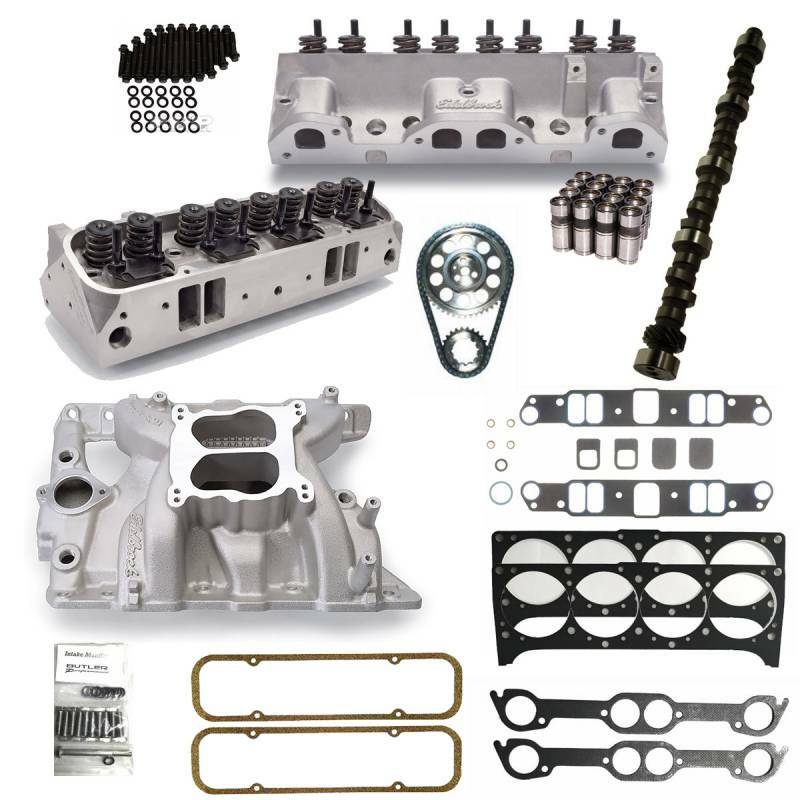 Performer RPM CNC cylinder heads with 72cc chambers are best for higher compression engines. Both are patterned after the same port flange configuration as the 1969-1970 Ram-Air IV Pontiac Cylinder Head. Maximum high-rpm power while maintaining good throttle response for street. Recommended for high-performance street, strip and marine. Has clearance for HEI distributor. Will not fit under Trans Am Shaker hood without modifications. We include a pushrod length checking tool in each kit for measuring proper pushrod length. Because brands of lifters and rockers require different pushrod length. We offer many style rockers to choose from. Rockers that will work for these kits include stainless steel or aluminum from brands such as Comp, Scorpion, PRW, Crower, and more. We recommend 1.5 ratio rockers so that pushrod slotting is not neccessary.